The Castle Combe booking system is up and running for the event but this year there is a change to how you book you Club Stand Parking Pass & Passenger Pass and Exclusive track session. You will require our club code to make your booking on the Castle Combe system therefore please PM me for this before trying to make your booking. NOTE: This code is for your personal use and must not be shared. MRC members who show as "Guest" on here please identify you are an MRC member. Additionally unfortunately due to a policy change at Castle Combe they are only allowing one exclusive track session per club and this must be purchased from the RX-8OC Club Shop for £25. There are only 28 spaces available per session therefore early booking is advised. By way of some compensation for there only being one exclusive session if you book track sessions direct with the track for sessions between 11am and 4PM at the price of £35 the RX-8OC will reimburse you £5 for one of those sessions. You do not need to post up in this thread that you have booked as I automatically receive an email from Castle Combe and will update the lead post accordingly, booked items will appear in GREEN if a couple of days after booking the lead post does not show your booking then post up or PM me. So as to avoid confusion all track sessions will be identified by their time ie: 9:30 9:45 10:00 10:15 etc; thus avoiding session 3 to us being session 4 etc: on the official event programme. Our exclusive session at 10:15am will I am sure be fully booked quickly, but if you are a novice looking for your first track adventure then whilst there are several open Introductory Track sessions, if you post up your are a novice and would like to drive in the exclusive session its possible someone experienced may swap with you to an open session. Any price difference will be down to personal arrangement. Same as always just post up your interest and I will add your name to the list. If you have any questions then please post these here in the thread. Wiggles (?) - Going but another clubs stand!!!! Last edited by Ian.Mothersole on Wed May 09, 2018 7:17 pm, edited 14 times in total. Sorry to read that you wont be at JDM Day Carl, hope to catch up at another event during the year, thanks for letting me know. What was wrong with the old post? Pete has left the Events Team and the only way to change the lead post in a thread is to start a new thread and lock the old one, which is still visible so the history of posts can be seen. Anyone on the Events Team, Committee, Admin, Or Moderators could edit the post in any way they desired. It would appear that it was changed purely to remove my name. My posts in the Events Admin area have also had my name removed. A little childish and petty from people in a position of responsibility within the club. When I was asked to take over organising the JDM event it was logical to change the owner of the lead post in the thread to my name and this was done at my request. For clarity after Petes post I enquired regarding how this is best done and I have now discovered that as Pete says an Admin can change the name in the lead post and the thread then stays fully intact which saves a lot of copying and pasting effort. Only Admins have this facility however. Whilst the methodology employed may have been incorrect I maintain that the principal of the changing the name is the right thing to do. I'm in Chris. Two track sessions, 1 and 3 please. Happy to assist with set up and if room in my car, help with lugging kit. Yea im thinking of coming would be nice if i could go to a local rx8 meet prior to this and meet some of you but me and brother are attending japfest at Silverstone in may so this a month after why the hell not!! Most important to have the latest numbers attending and number of track sessions required for when I return on Wednesday. You can put me down for this, and hopefully 3 track sessions. Please can you put me and Jon ( boosted ) from MRC down for club stand and for all track sessions. I have posted out on the MRC forum as per Chris Holmes invite so will add names as and when they are posted on the forum. Jon is already on there and I have added you. All those listed in the lead post as of today have now been sent the Club Booking Code by PM. 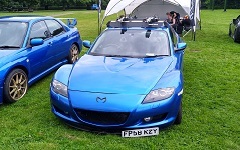 Please go to http://jdmcombe.com/club-member-zone/ to book your Car Stand passes (Inc: up to 3 passengers) and any track sessions in addition to the RX8OC Club exclusive session which is to be booked through the Club Shop, have I already mentioned that? Just bought my stand pass Could you sign me up for the exclusive track session as well please. Still want to do exc session looking like there will be too many wanting to do this ?? Booking has only just started and there are just 21 interested in the exclusive session currently so there is room for you. Club stand booked and also 12.30 & 14.15 track sessions. Exclusive session not on the club shop?? Patience gents, I have been a bit quick making the lead post live it will appear soon and you will be notified immediately.